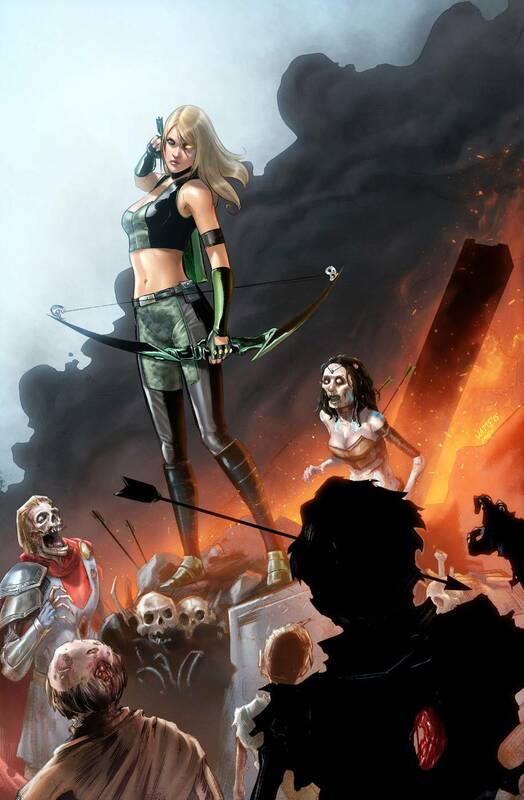 The end of an era with Robyn Hood – wrapping up the series! Wrapping up this series in the best way possible – with a large amount of heart and action. Robyn is having trouble dealing with the future, but it’s the past that is causing trouble for the wedding. Marion in unaware (sort of) of the trouble and Robyn deals with this problems mainly for herself. She has a little help from her friends and even those who are dead get a mention in this excellent round up of the series. The action is excellent, with some nice scenes – involving humour in some (look out for that bus!) the final reveal is really well dealt with – in terms of story telling and the story!. Robyns ending is well worked and puts the toys back in the box for any potential future creative team to work with. This is an issue for fans of Robyn Hood to check out and enjoy!